I hope you're all having a wonderful weekend so far! Sorry for the late post today; I've been crazy-busy all week with various projects, a couple of fun day trips with the kids (we visited both Disneyland and Six Flags Magic Mountain and had such a blast!) house work, and a myriad of other things. I tell you, I need more hours in the day! But that's why there's something called "retail therapy," right? Ha! 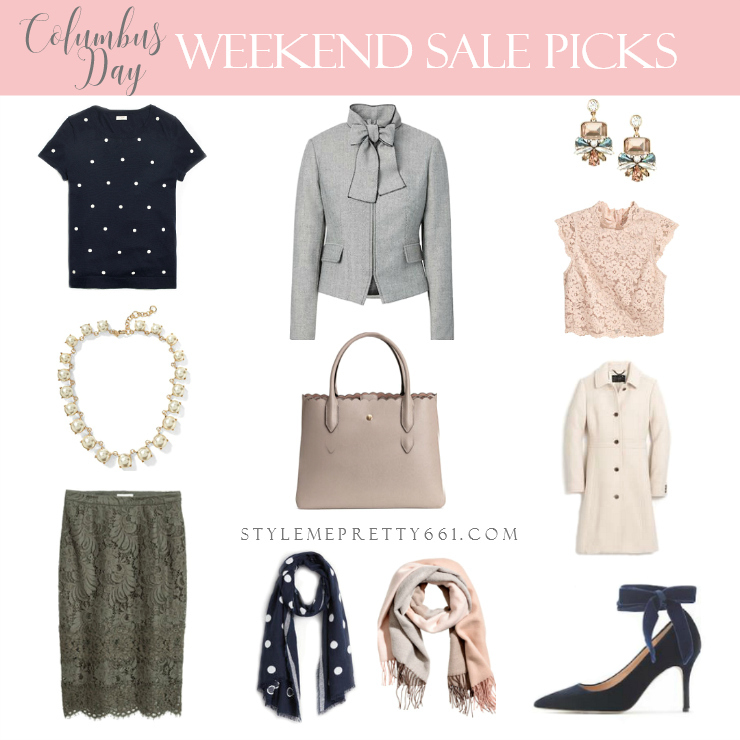 I spent some time perusing all the Columbus Day sales happening this weekend, and there are some amazing deals out there that I just had to share with you all! See below for all the details plus more of my sale picks! There are so many classic, staple pieces on sale that will work beautifully not only for Fall, but year-round! I'm especially eyeing all of the luxe cashmere sweaters and accessories ... because when cashmere is on sale, you take advantage! And with sweater weather right around the corner in L.A., I figure there's no better time to start stocking up on all the gorgeous cashmere in versatile neutral colors that will last season after season. Also, if you've been holding out on other investment-worthy staples like wool pencil skirts or coats, be sure to see my all-time favorites from J.Crew here and here, which are all on sale! The quality and fit just can't be beat. I've worn mine for years and they still look and feel as good as new. I always have the hardest time restraining myself from buying them in ALL of the yummy colors! So, if you're in the mood for a little shopping or even just a little window-shopping, enjoy the eye candy! Here are all of my sale picks by category. So many goodies, right? Let me know which ones you're loving!